Points Nécessaires : 14700 Veuillez noter que, pour l'instant, vous ne pouvez pas télécharger du contenu à partir de notre plate-forme directement sur un appareil mobile (téléphone, iPod, iPad, tablettes ...). Vous devez télécharger vos articles sur un PC ou un Mac, puis de les transférer sur votre appareil de façon normale. Nous travaillons à autoriser le téléchargement direct aux périphériques mobiles, mais ce n'est pas possible dans la version actuelle de la plate-forme. Désolé pour le dérangement! NOTICE: Activation key must be used on a valid Steam account. Requires an internet connection. 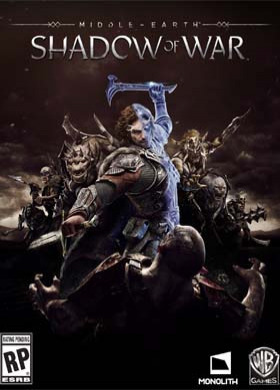 About the game Immerse yourself in the epic war for Middle-earth as you confront the Dark Lord Sauron and his Ringwraiths. Forge a Ring of Power to dominate your enemies and command your followers as you experience a unique, personal story brought to life by the award-winning Nemesis… System. Go behind enemy lines to forge your army, conquer Fortresses and dominate Mordor from within. Experience how the award winning Nemesis System creates unique personal stories with every enemy and follower, and confront the full power of the Dark Lord Sauron and his Ringwraiths in this epic new story of Middle-earth. In Middle-earth™: Shadow of War™, nothing will be forgotten. Experience an epic open-world brought to life by the award-winning Nemesis System. Forge a new Ring of Power, conquer Fortresses in massive battles and dominate Mordor with your personal Orc army in Middle-earth™: Shadow of War™. Key Features A MONUMENTAL STORY Immerse yourself in the epic scale of Middle-earth as you forge a new ring and siege epic fortresses to face the Dark Lord and Nazgul. NEMESIS SYSTEM EVOLVED Experience a richer and more personal world full of new enemy types, stronger personalities and deeper stories - anyone you face can now evolve from a lowly soldier to a mighty overlord. Personal nemesis or ally. TURN MORDOR AGAINST SAURON Go behind enemy lines and use strategy, cunning or brute force to conquer Sauron's fortresses and turn them against him. System Requirements Windows - Minimum OS : Windows 7 SP1 with Platform Update for Windows 7 Processor : Intel i5-2550K, 3.4 GHz Memory : 8 GB RAM Hard Drive : 60 GB available space Graphics : GeForce GTX 670 / Radeon HD 7950 DirectX : Version 11 Online Connection Requirements : Broadband Internet connection Windows - Recommended OS : Windows 10 version 14393.102 or higher required Processor : Intel Core i7-3770, 3.4 GHz Memory : 16 GB RAM Hard Drive : 60 GB available space Graphics : GeForce GTX 970 or GeForce GTX 1060 / Radeon R9 290X or Radeon RX 480 Sound card : Version 11 Online Connection Requirements : Broadband Internet connection © MIDDLE-EARTH: SHADOW OF WAR © 2017 Warner Bros. Entertainment Inc. Developed by Monolith. © 2017 New Line Productions, Inc. © The Saul Zaentz Company. MIDDLE-EARTH: SHADOW OF WAR, THE LORD OF THE RINGS, and the names of the characters, items, events and places therein are trademarks of The Saul Zaentz Company d/b/a Middle-earth Enterprises under license to Warner Bros. Interactive Entertainment. MONOLITH LOGO, WB GAMES LOGO, WB SHIELD: ™ & © Warner Bros. Entertainment Inc.